Islamic extremists said to be preparing to close more churches. 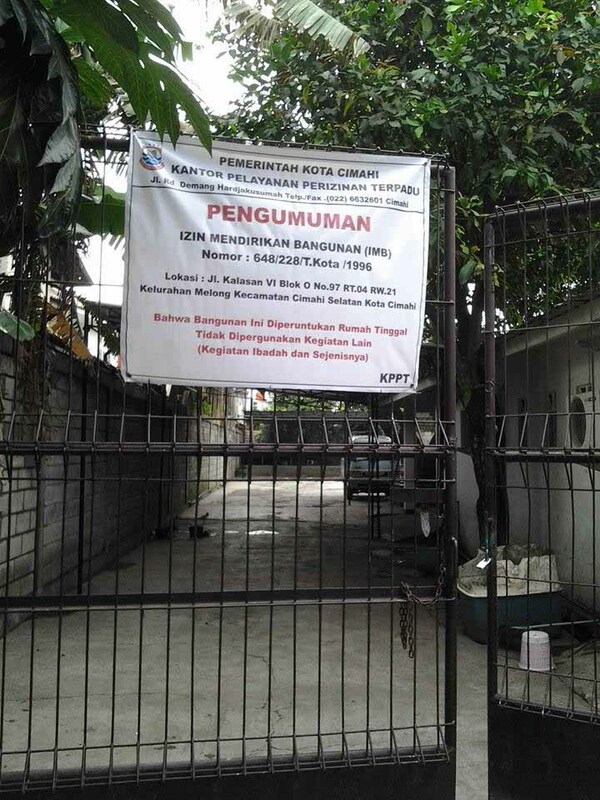 JAKARTA, Indonesia (Morning Star News) – The average of 56 incidents of religious rights violations churches suffered annually in Indonesia over the past seven years is not expected to abate following elections next month, sources said. Jakarta Christian Communications Forum records show churches suffered 392 incidents of religious rights violations, mainly closures and attacks, from 2007 to 2013, and sources said neither of the candidates vying for the presidency of Indonesia on July 9 is expected to arrest the deterioration of religious freedom begun during that period. Presidential candidate Prabowo Subianto of the Gerindra, the Great Indonesia Movement Party, is beholden to the country’s largest Islamic party, the Prosperous Justice Party (PKS), as well as the United Development Party (PPP), and both reject moderate Islam and object to protections for minority faiths. His opponent, Joko Widodo of the Indonesian Democratic Party (PDI-P), is also said to be under pressure to win the favor of Muslim extremists, although the party ideology is based on Pancasila, or unity and social justice for Indonesia’s various peoples. Islamic extremists have been largely responsible for using lack of building permits as a pretext for closing or attacking churches since the passage of Indonesia’s Joint Ministerial Decree of 2006, which made requirements for obtaining such permits nearly impossible for most new churches. Even when small, new churches were able to meet the requirement of obtaining 90 signatures of approval from congregation members and 60 from area households of different religions, they have often met with delays or lack of response from officials. The Rev. Togardo Siburian of Bandung, West Java Province, told Morning Star News that churches in the province often receive threats, especially those that do not have building permits and are not able to pay “security” money to intolerant groups. Most religious rights violations against Christians take place in West Java, he said. Most churches in West Java do not have a permit to build houses of worship, he said. “They use homes or office buildings as a place of worship, and they have to obtain a license to use these place as places of worship prior to using the space,” Siburian said. Nimrot Faot, another pastor and seminary lecturer in West Java, told Morning Star News that Islamic extremist groups are expected to try to close 30 churches after the presidential election. “There will be plenty of churches closed after the presidential election,” he said. In West Java’s regency of Cianjur, churches find it difficult to obtain permits to construct church buildings, he said. 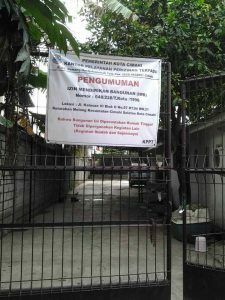 In December 2013 and January of this year area officials closed seven churches in Cianjur, Oferlin Hia, chairman of the Association of Churches in Cianjur, told The Jakarta Globe. He said the churches were reporting the Cianjur district administration to the National Commission for Human Rights. Churches forced to close were the Indonesian Pentecostal Church of Cianjur (GPdI); the Pentecostal Movement Church; the New Covenant Christian Church; the Bethlehem Pentecostal Movement Church; the Indonesia Bethel Church (GBI); the Full Gospel International Church; and the Assemblies of God Church (GSJA). Oferlin said some of the churches predated the 2006 joint decree (from the Religious Affairs Ministry and the Home Affairs Ministry) and were not subject to its requirements. Theophilus Bella, president of the Jakarta Christian Communications Forum, told Morning Star News that the religious rights violations of the past seven years have hit churches whether they adhere to the decree’s regulations or not. The number of religious rights violations reported by churches last year was 55, according to Bella; the figures for the previous six years were 76 in 2012; 64 in 2011; 47 in 2010; 10 in 2009; 40 in 2008; and 100 in 2007. The Setara Institute for Democracy and Peace reports that West Java faces the most church closures. “Church closures in Indonesia will continue as in previous years, because the Indonesian government was never serious in handling cases related to the closure of the church,” said Bonar Tigor Naipospos, deputy secretary of the Setara Institute. Siburian added that West Javanese people cannot accept the presence of a church because Christianity is still regarded as a colonialist religion of the West. “That’s why West Java is the area where there is the most closing and destruction of churches,” he said. 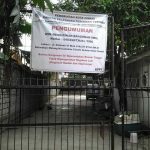 In Central Java, a mob from the Islamic extremist Yogyakarta Islamic People’s Forum (FUI Yogyakarta) along with police entered the El Shaddai Pentecostal Church (GPdI El Shaddai) in Pangukan village, in the Special Region of Yogyakarta, on June 1 and ordered the worship service to cease, according to the Jakarta Globe. The congregation departed, but hours later extremists returned with stones and hammers and damaged the building’s doors and windows as police looked on. The church in Sleman Regency had operated without a permit for more than 20 years without incident until it was attacked in 2011, according to the Globe; church leaders applied for a permit the next year, but that only further angered Islamic extremists. Officials closed the church in 2012 under pressure from Islamic extremists, but the church re-opened after winning an appeal. Church officials have filed a police report on the June 1 attack. Also in Sleman on May 29, a throng of armed men wearing robes reportedly attacked Catholics conducting a religious ritual at a home, beating the home owner, Julius Felicianus, so badly that he had to receive hospital treatment for broken bones. The Jakarta Post reported that three others were also beaten, as well as a neighboring journalist who tried to film the aftermath of the attack.